CAIRO — Two Egyptian actors on Wednesday denounced their country's film union for kicking them out for taking part in a public discussion in Washington that criticized proposed constitutional changes that would allow President Abdel-Fattah el-Sissi to stay in power until 2034. The actors — Khaled Abol Naga, also known as Kal Naga, and Amr Waked — were also accused by the union of "treason." Their membership was revoked on Tuesday. Waked said the union's decision was "nonsensical and an intervention in personal political choices." Naga said he was sorry the union had not communicated with the two before its "hasty decision." The two had joined U.S. Congressman Tom Malinowski, a Democrat, and others in a panel earlier this week on the constitutional changes that enshrine the military's role in politics and allow el-Sissi to run for as many as two more, six-year terms after his second, four-year term ends in 2022. Critics of the proposals, which have been approved in parliament but still face a final vote and a national referendum, argue that Egypt is slipping back into authoritarianism after the 2011 pro-democracy uprising toppled longtime President Hosni Mubarak. At the Washington panel, the actors called on the U.S. to denounce human rights violations in Egypt. Naga invoked the 2011 Arab Spring movement. "It's a seismic, big event that we're still living the repercussions of, including the repression in Egypt right now," he said, according to online footage of the event, and added that the proposed amendments are "shameful." Both actors, now U.N. goodwill ambassadors and based in the United States, were outspoken during the 2011 uprising and used their star power to lobby for Mubarak's ouster. The union said in its announcement Tuesday the two actors "sought the help of outside powers against the will of the people ... serving the agenda of those plotting against Egypt's security and stability." 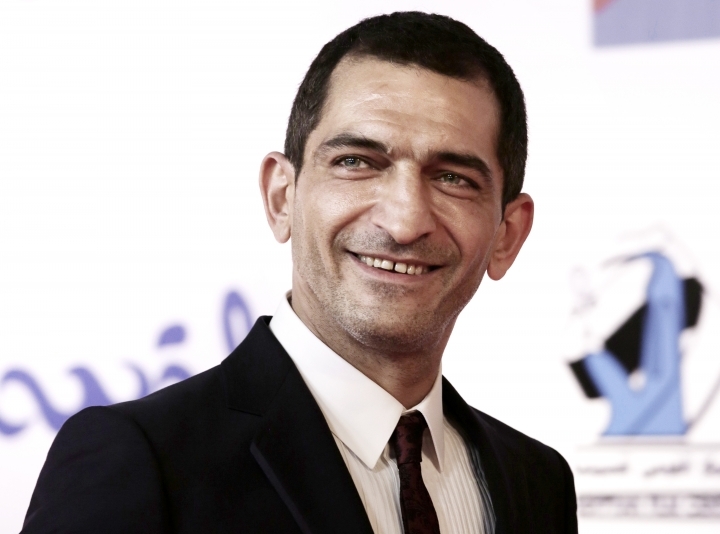 Waked was an established movie star in his native Egypt before he started appearing in international box office hits such as "Syriana," alongside George Clooney, and "Salmon Fishing in the Yemen," alongside Emily Blunt and Ewan McGregor. Naga, who was a TV host, also established his movie career in Egypt before debuting on the international stage in 2006, in the U.S. thriller "Civic Duty."